I have just switched from years of Gillette Mach 3 use to this kit. I am getting an unprecedented close shave from this kit. The blades that come with it last about two weeks each which means with the 25 blades that come with this it is outstanding value for money. I will be using this from this day forth. I can’t recommend more. Make the switch. This short review comes from the perspective of someone who is a first time safety razor user. Like most people I have used various cartridge razors over the years. Im in my 30’s so have done this for nearly 15 years. Not sure what got me to try the ‘old’ method, but I found my way to Shave Lounge and was confronted by a plethora of different products…tooooo much choice! Having decided I was going to give the old method a go I thought a kit would be a good starting place. Delivery was really quick, packaged nicely, the excitement set in! No i was pretty nervous about trying a new razor, however the anxiety about slicing parts of may face off and ending up with the razor burn from hell were completely unfounded. I now possess the smoothest face in the South of England (possibly)! 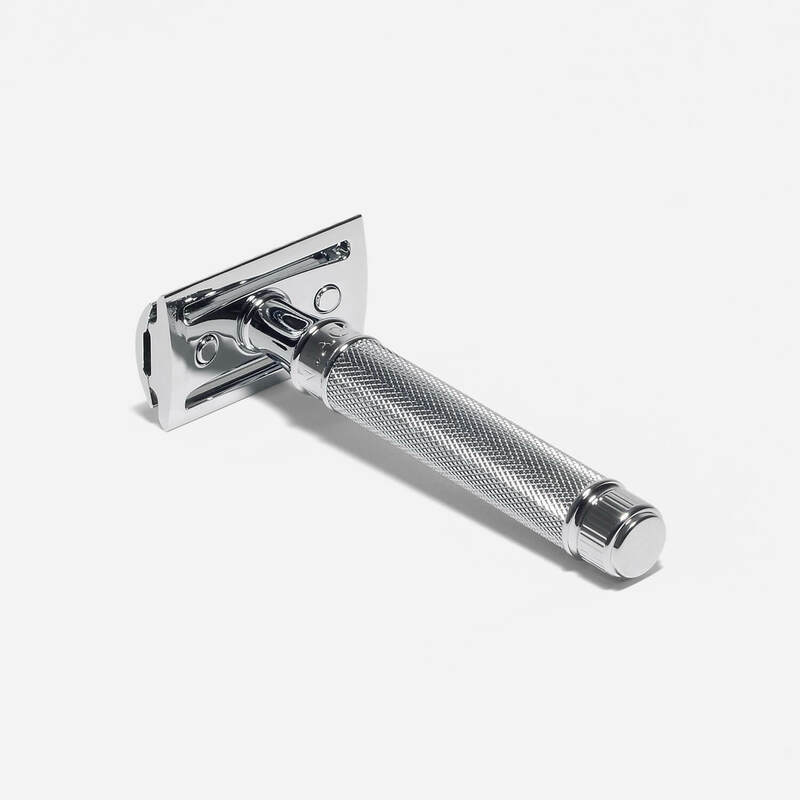 The Edwin Jagger DE89 is a thing of beauty, immaculate finish and really easy to use. I chose the Gillette 7 o’clock super stainless blade first, for no other reason than it was at the top of the pack. Super smooth and sharp. 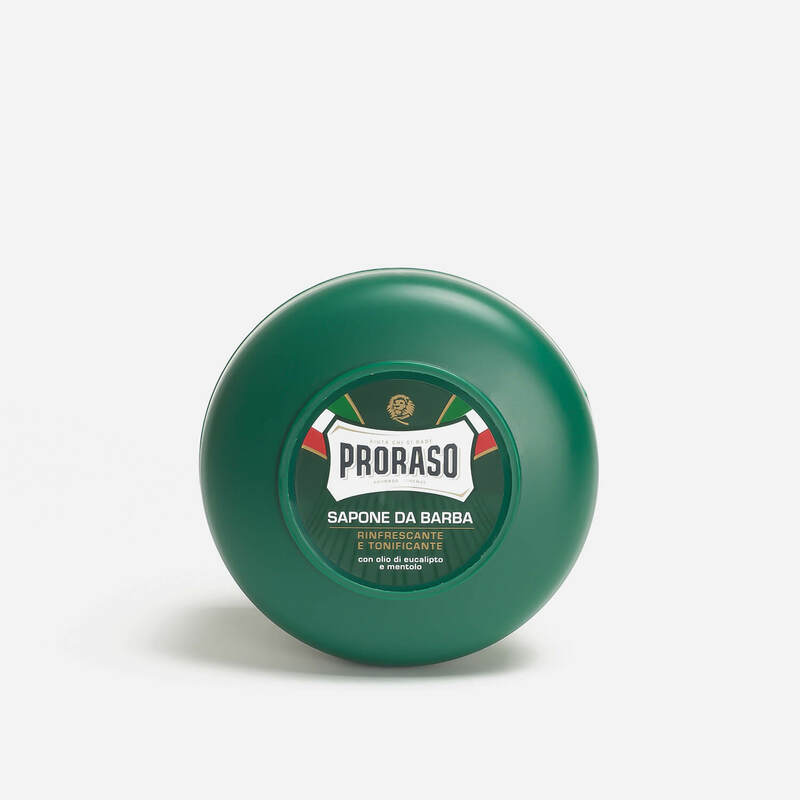 The Proraso menthol cream lathered up easily and had a really fresh scent. Like some of the reviews elsewhere say it does dry out a bit, this could be down to user error, I will preserve. Omega brush is well finished, easy to use and looks great. 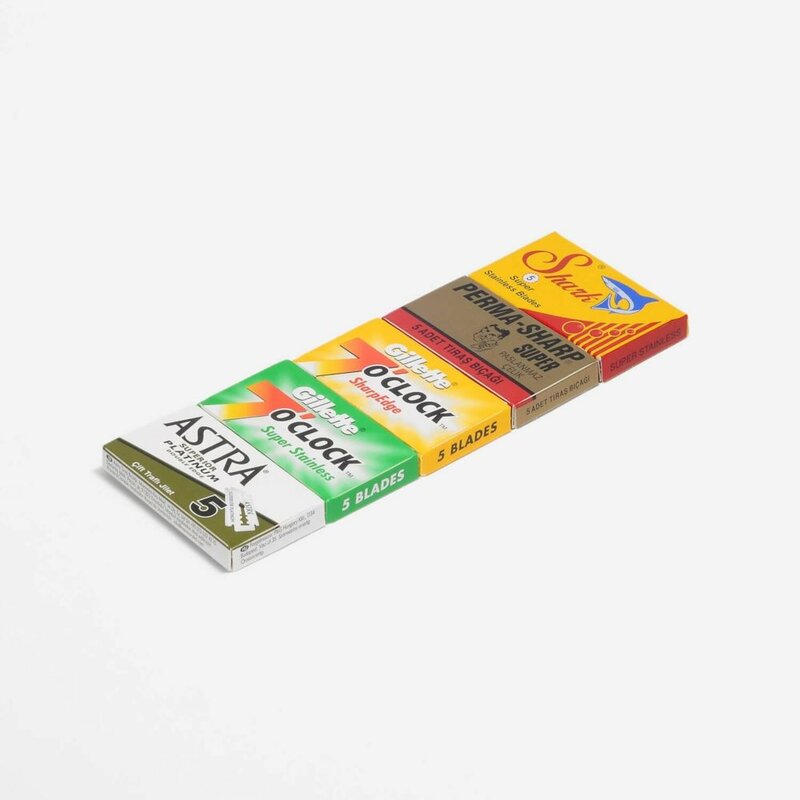 Excellent quality product and an extremely good price. Best on the Internet. Love the razor and the lit will probably enable me to shave for over a year as I’m a once or maybe twice a week if I’m lucky man. experience a pleasure. I am sure I held the razor wrong, I know I mixed the soap wrong but I didn’t cut myself and still had one of the best shaves I have ever had. Bought as starter kit for a completely novice 15 year old shaver. Wanted to start him off with good quality products. Really pleased with the kit. Everything he needs is there and a few weeks in no nicks or rashes just beautifully smooth skin. Completely new to the world of a proper DE shave. This came with everything I needed – the razor is great, the Derby blades have been fine to start off with. The brush works a treat, the soap lathers nicely and smells fine. The alum matches perished in my steamy shower room – they’ve been the only thing I’ve not managed to use! Overall, at this price, an absolute steal, and just what I’ve been needing – actually enjoying shaving! Quick delivery. Well pacakged. Easy to use. SO after doing some research I came upon this kit, and bought it. This was quickly rectified by customer services who refunded my carriage charges. Bought this for x mas present for son in law. He loves it. This was one of the Best buys i have ever done so worth every penny would recommend and will be buying all my shaving kits from here. 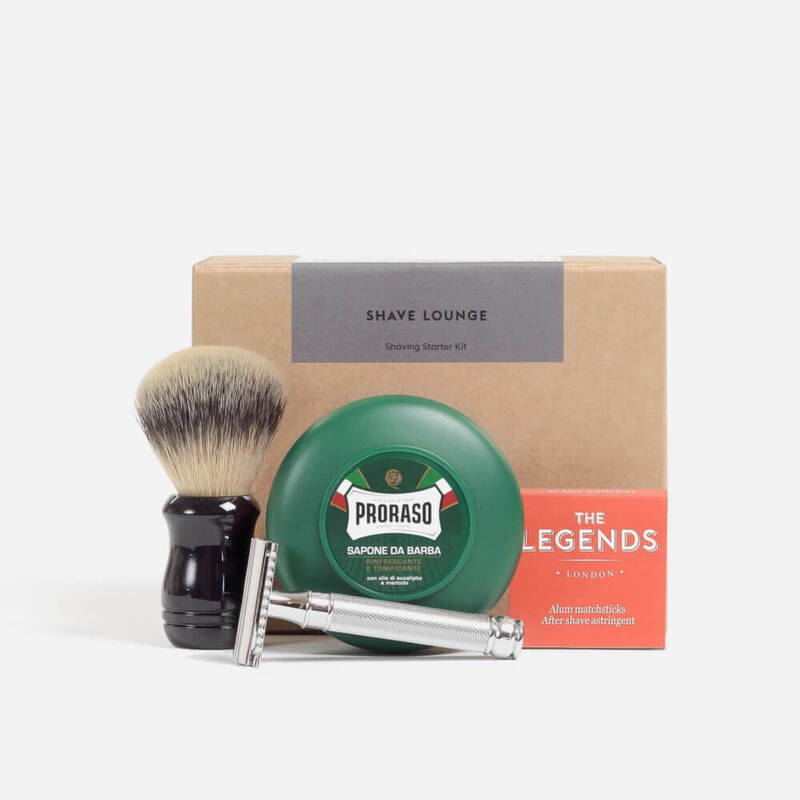 Nice set of products at a good price from Shave Lounge. Would buy from them again.